Some expenses in business are a luxury, others a necessity. Working with Dom was an absolute necessity for me as I manage a full time consulting schedule and work to launch new products. Besides being accountable and delivering each promise on time, he goes way beyond to offer suggestions and strategies to consider. While we all have to earn a living, I do not think it is just about money for him. He takes great satisfaction helping his clients succeed. I really believe he has gone above and beyond for me. I will continue to use him as my consultant for my projects. Once you find someone capable and trustworthy, you stay. My experience working with ZACAW was exceptional, Dominick did an outstanding job getting a good understanding of my business needs. My project was complex but based on their expertise and hard work, they did awesome work. I would recommend ZACAW and Dominick to any business that needs assistance with Infusionsoft integration. Dom and his staff solved a difficult Infusionsoft integration for us in quick time. Price was right, the communication and support were great. Highly recommend! Infusionsoft User Group - WOW! I’m so impressed at the size of the User Group - wow! Thank you for hosting this and, more importantly, for keeping it going by consistently providing great content and a great format! I love always coming away learning something new or obtaining a new twist on something I currently use as well as contributing to the group. I want to thank Dom and Zacaw for their work on our Infusionsoft store and for providing the membership integration with JoomFuse. Being a membership site with some products created barriers and obstacles to the base store design. In every case, Dom thought through the problems and created answers or found other vendors who could make our unique approach happen. 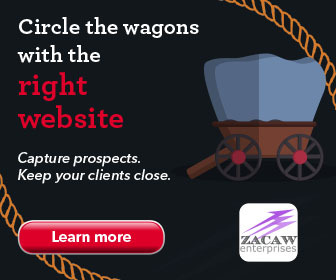 I highly recommend Zacaw for their creativity and persistence.